From 8 Mile to A Hard Day’s Night, some of the world’s greatest musicians have become part of movie history by writing and performing iconic soundtracks. It used to be the exception rather than the rule, but in recent years, the concept of popular musicians creating musical scores, rather than leaving the task to classically trained composers, is gaining momentum. 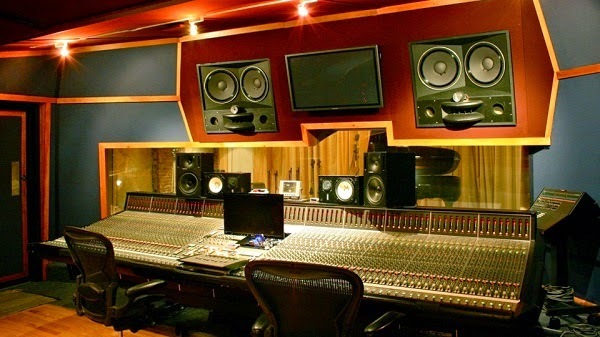 Modern producers increasingly look to contemporary artists for inspiration, choosing pop, hip-hop or soul sounds to suggest a tone and atmosphere that is unique to that production. Music is a shortcut to generating an emotional response; be it noises of panic, lavish romance or exhilaration, it affects an audience and enhances their viewing pleasure. It’s unlikely that the mutually beneficial relationship between musicians and filmmakers will end any time soon. Companies such as Global Produce are always keen to remain on top of their game, and with an experienced producer like CEO Marc Shmuger, they’ll certainly continue to deliver movies that bring the best in recording talent to the big screen. Just like the gaming industry, the music industry has always enjoyed a close relationship with film production. There have been numerous soundtrack tie-ins, and the release of singles always generates interest in forthcoming productions. Moreover, some musicians who are better known for other work are now becoming popular musical score writers for movies. Jonny Greenwood is probably best known to music fans as the lead guitarist and keyboard player in the rock band Radiohead. However, he has a second career as a composer and has worked on the soundtrack for many Hollywood hits, including There Will Be Blood, Norwegian Wood and Inherent Vice. The Fifty Shades of Grey soundtrack included songs from hip artists such as Sia, Ellie Goulding and Skylar Grey, indicating just how keen contemporary stars are to be associated with a movie. In an impressive track listing, one of the standout contributions was Beyoncé’s sensual remix of her dance track “Crazy in Love.” The fact that it was widely used in pre-release trailers – debuted via Beyoncé’s personal Instagram account – demonstrates the powerful influence certain celebrities have on a potential audience. Although soundtracks are not the most conspicuous element of a feature, they do play an important part in the filmmaking process. Along with the cinematography and the actors, music creates meaning, helping to transport an audience into the film’s narrative and heightening the emotional impact.